A string quartet is more at home performing as part of Central City Library's Thursday Lunchtime concert series events than a children's storytime. 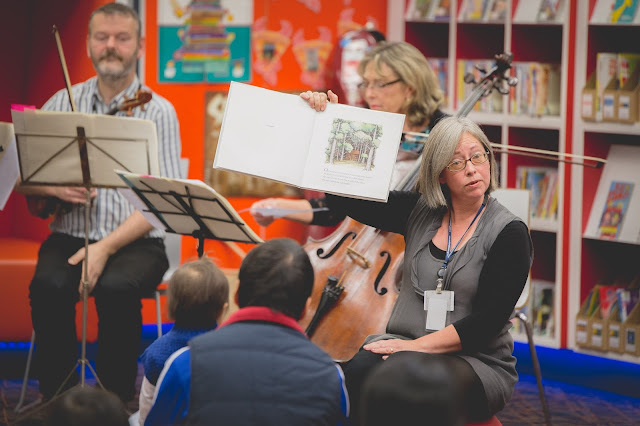 But a bright idea from staff saw a regular Saturday programme turned into a celebration of song, story and dance for the central library's youngest customers. Part of May's New Zealand Music Month festivities, the event was the brain child of Music Library Assistant Owen Gordon. Together with musicians Ainsley Murray, Kate Walshe and Ginny Hopkins who generously loaned their time and skills for free, the quartet incorporated music into every facet of the progamme, including the regular welcome song. They also provided special sound effects to stories The Toymaker and the Violin by Pamela Allen, and Willbee the Bumblebee by Craig Smith, The quartet particularly shone between stories with dance breaks, getting the whole audience on their feet. Owen said the event was not only a celebration of Kiwi music, but for some a first introduction to live performance too. “Incorporating live music into our regular storytime session really added another creative dimension to our customers’ experience," he said. 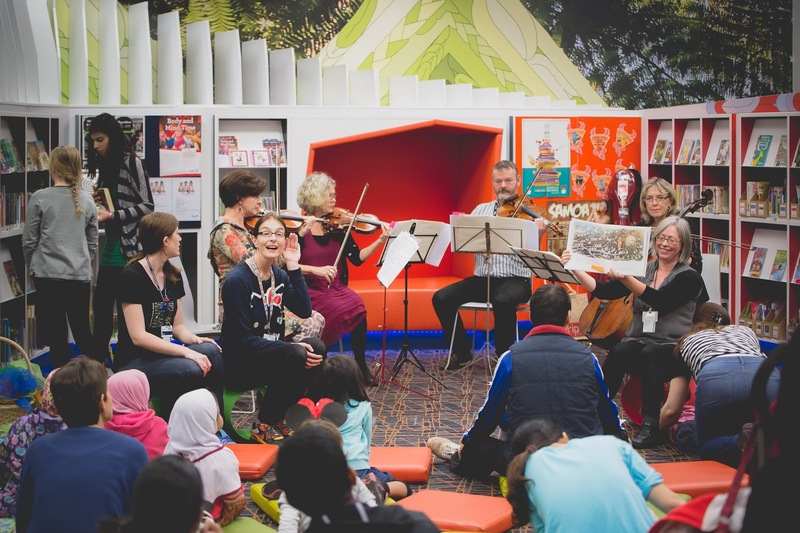 "For some in the audience, this may have been their first time seeing and hearing instruments played ‘live’ in the library, as well as being a great way of introducing basic musical concepts such as pitch and rhythm in a fun and engaging setting,” he said. Library Assistant Melissa Lee said the addition of music elevated the stories to another level. "The Toymaker and the Violin was quite an ambitious choice, but it worked so well. The children were totally engaged. We don’t often use classical music with our storytimes but it was so successful we will definitely do more of this."